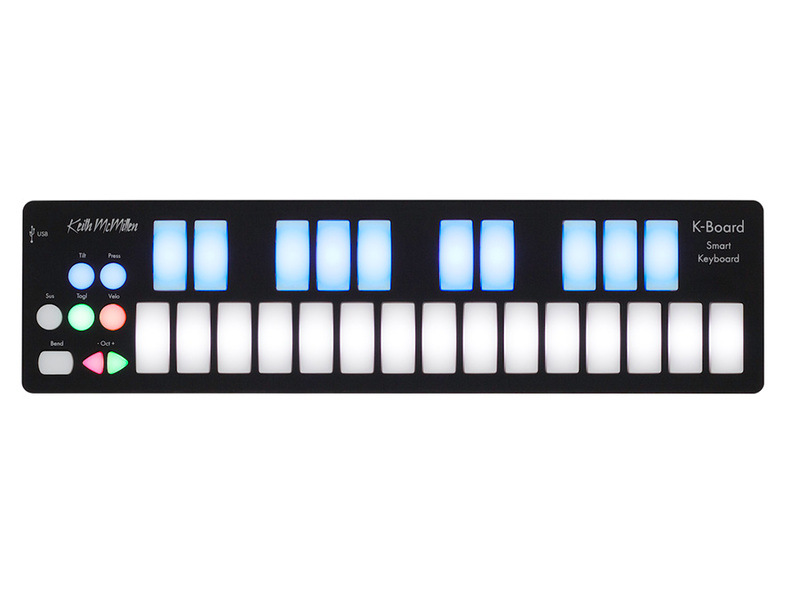 K-Board is your key to quick and easy music production, at home or on the go. K-Board works with all of your music software out of the box, connecting to your tablet or computer instantly, while also offering you room to grow – as your skills advance you can explore the touch sensitive keys to add effects and expression to your music. K-Board is designed to be accessible to musicians of all ages and expertise. K-Board is a plug and play USB MIDI keyboard that is affordable, durable, and deeply expressive. Its brain matches its brawn – Tough enough to take whatever abuse you can throw it’s way, yet smart enough to sense even the most subtle gestural controls. K-Board can unleash your creativity while keeping up with your on-the-go lifestyle.